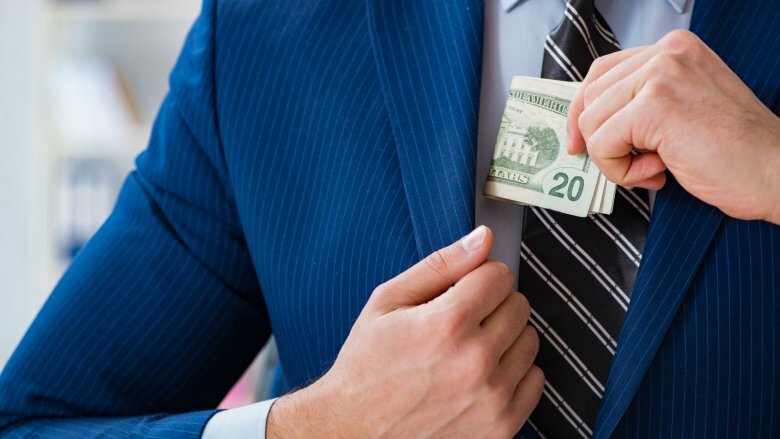 The world's greediest, most sinister forces often dress themselves up in bright colors and smiling faces, the better to lull you into a false sense of security. While this is a common trope in fiction, where everyone expects grinning clowns like the Joker and Pennywise to be evil, it's sometimes harder to pinpoint in real life. Everyone expects politicians to lie, but the supervillains you really need to watch out for are those colossal mega-corporations, which will flash discounts, nostalgia trips, and cute cartoon animals in your face to distract you from human rights violations. It's scary stuff. For example, take Walmart. Everyone in the world recognizes that big round smiley face. Everyone knows Walmart has the cheapest prices, the biggest carts, and can be found in every town across the United States. But once you rip off Walmart's cheery yellow mask, this corporation keeps some slimy secrets under wraps. Okay, so Walmart is bigger than Jonah's whale. How big? 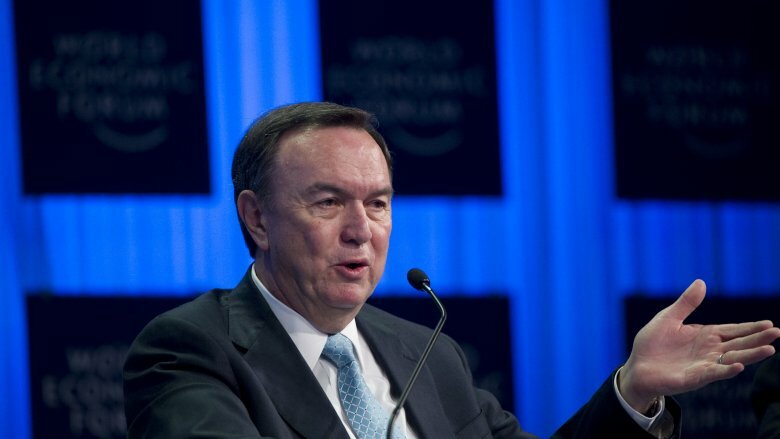 According to CNBC, they've nabbed the #1 spot on the Fortune 500 list for several consecutive years, with ExxonMobil running a distant second. 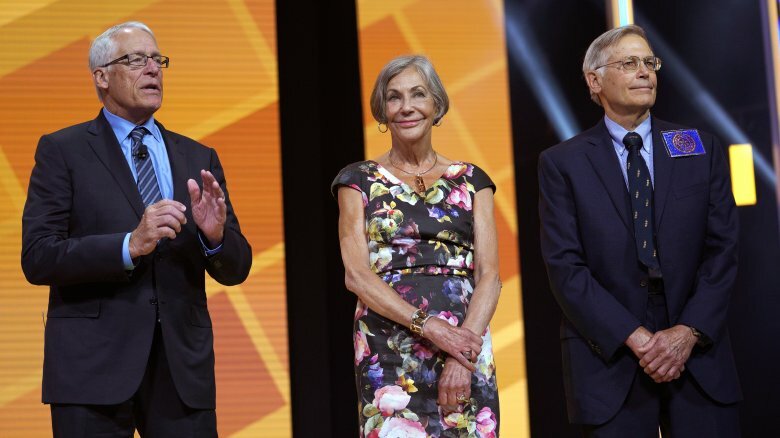 Thanks to Walmart's market dominance, the Waltons — that's the "Wal" in your Walmart — are the richest family on Earth, and they're still getting richer. In 2018 alone, Business Insider reported that they'd added $11.6 billion to their net worth. Considering that Walmart makes so much dough, you'd figure that some of those profits go back to the workers, right? Wrong. Walmart has no interest in sharing this success with the 1.4 million U.S. workers who keep the company afloat, and Walmart employees still work long hours at low wages. Walmart HQ always says the company "can't afford" to pay people a living wage, but that's hogwash. As Vox points out, Walmart could have easily used their savings from the controversial 2017 tax cuts to raise every employee's base rate to over $15 per hour without a sweat. Guess what they did instead? Sent a cushy $20 billion to their wealthy shareholders. Apparently that's not greedy enough for Walmart, though, because Bloomberg says they also dole out huge annual bonuses to their executives, year after year, despite prior claims that they'd stop. So no, it's not that they can't raise wages, it's that they don't care, and you don't need to be Robin Hood or Bernie Sanders to have issues with this. Hey, low prices! Sweet deals! How does Walmart afford to produce and sell such affordable bookshelves, purses, and clothing? Get a barf bag ready, because the answer is just what you were afraid of: Walmart's cheap products are often sourced from sweatshops in developing countries, where women and/or children work under nightmarish conditions. Remember that garment factory in Bangladesh that collapsed in 2013, killing over 1,100 people? Maybe? Well, the Telegraph points out that Walmart was one of their top clients, and hundreds of girls employed by that factory were as young as 13. 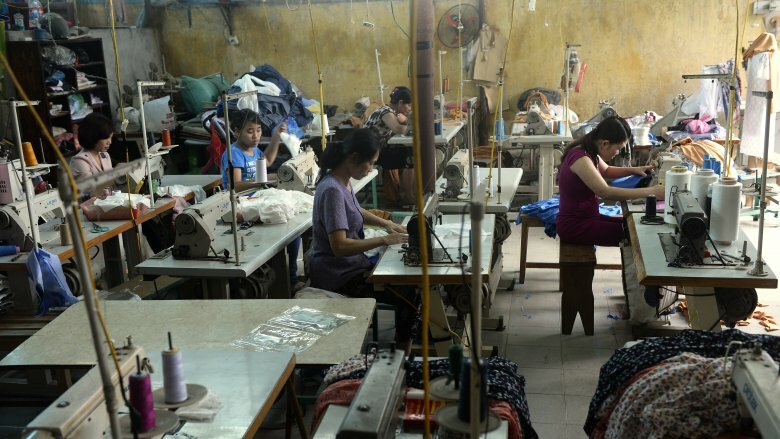 The situations in these sweatshops are just as abusive as you'd think. According to CNN, female workers in Walmart's overseas factories struggle through mandatory overtime, day after day, in an unsafe workplace, for minimal pay, enduring temperatures so hot that "mass fainting episodes" are a real thing. So yes, that's why your Walmart shirt is cheap. Even in the United States, though, Walmart has gotten embroiled in an uncomfortably substantial list of child labor scandals, according to the Irish Independent, with kids as young as 5 doing demanding farm work. The Morningside Center points out that Walmart has faced multiple fines, over and over again, for this same issue. The private, for-profit prison system now commonplace in the United States is a dystopian nightmare, where U.S. citizens are handed unbelievably long sentences and then forced to work. Guess who "employs" them? That's right, big corporations like Walmart. Of course, Walmart doesn't directly employ prison labor. Bad for PR, you know. Instead, they use cover organizations like "Martori Farms," as Mic explains, which forces imprisoned U.S. women to spend long hours harvesting produce in the hot sun without water, sunscreen, or food. These prison workers, whose participation is involuntary, earn only $2 an hour. Dirt low wages mean low prices, huge bonuses for executives, and a nice little "Made in the USA" sticker on a product. Walmart certainly isn't the only corporation doing this, according to Pacific Standard, but the next time you see that sticker, just remember, it might have been funded by modern slavery, especially if you like the price. Overseas, the portrait ain't any prettier. In 2017, according to Vox, an Arizona woman found a folded piece of paper in the bottom of her brand new Walmart purse. Opening it, the paper contained a message from a Chinese prison worker, who claimed to be surviving 14-hour work days, with frequent beatings and no lunch break, in order to produce items like her purse. Such notes can't really be verified, but Walmart does outsource about 70 percent of its merchandise from China. You ever live next to that annoying neighbor who calls the cops every time they hear a party at your house, instead of just politely knocking and asking you to tone down the volume? Well, Walmart is that neighbor. 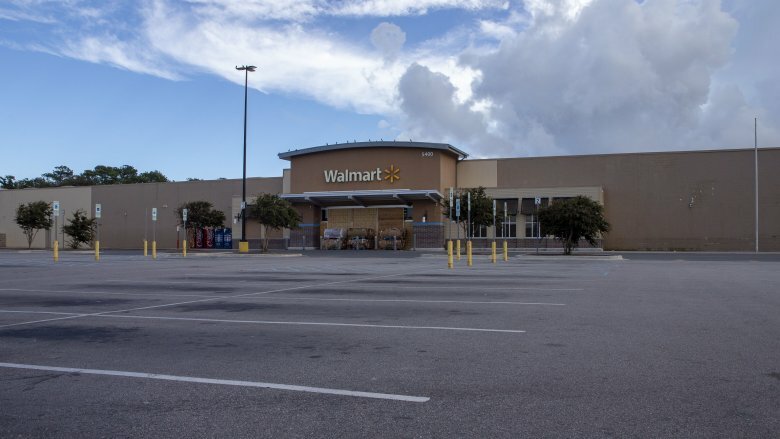 According to the Tampa Bay Times, Walmart has become infamous for calling the cops — over and over — for everything that goes wrong, from panhandlers to someone walking out with a $3 box of eyedrops to teenagers taking joy rides on the motorized shopping cart. Why? Because Walmart doesn't want to pay for their own security measures, of course, and they'd rather hand those costs over to local taxpayers. 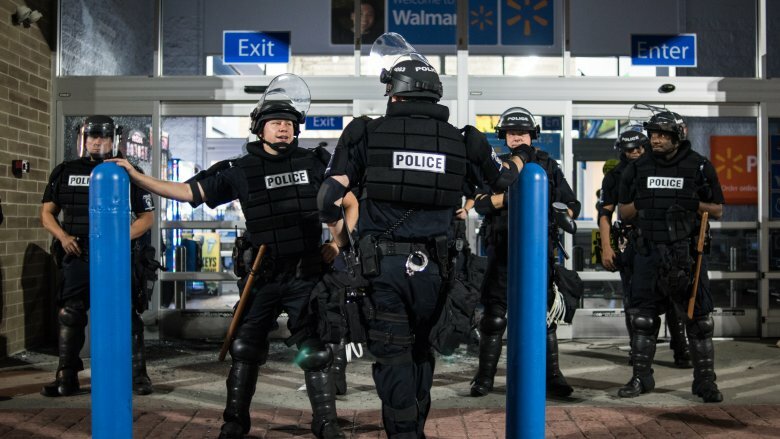 Across the country, local police departments are being overburdened by Walmart calls, stretching their budgets and wasting resources on petty problems, all because Walmart won't handle their own problems through the same proven methods other stores use, like better staffing and more security protocols. 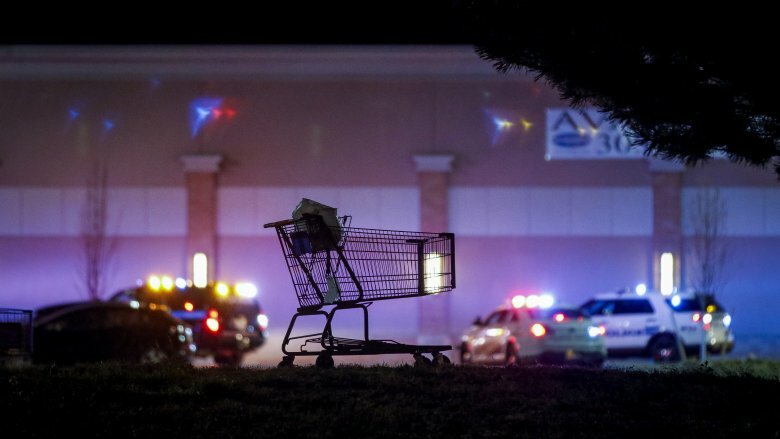 For the police, frequent Walmart trips means wasting time on problems that could be solved way more easily. Seriously, if you hear gunshots at the house next door, do you want to be waiting around forever because the closest cop is busy interrogating some kid over a shoplifted grapefruit? 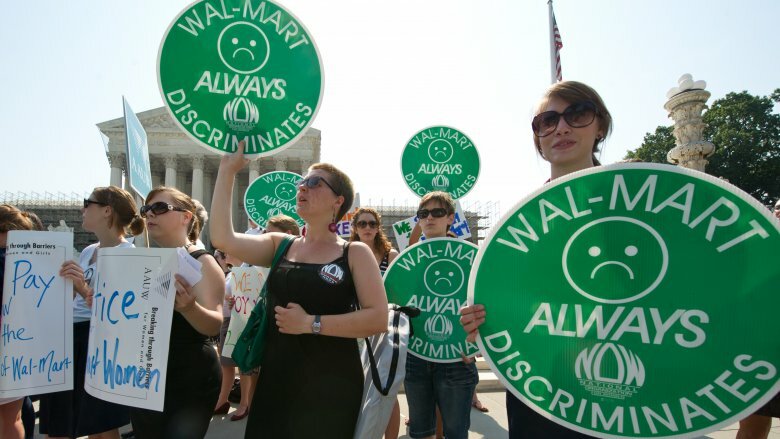 Walmart says they're an "Equal Opportunity Employer," but tell that to the infinite number of discrimination lawsuits they've faced over the years. The two decades of sexual discrimination charges are bad enough, according to Bloomberg, and this mountain is topped off by the latest allegation in 2018, reported by NPR, regarding discrimination against pregnant women. The problems run deeper, though. An analysis by Fortune found that more than half of the company's job listings used male-biased language coding, and the language only got more biased the higher up it was on the corporate ladder. Women aren't the only demographic Walmart has discriminated against, though. For example, Business Insider reports that some Walmarts have a policy of locking up all the African-American-targeted beauty products — and not other ones — thus requiring black customers to ask for the key. Another group that's been discriminated against? The disabled. In 2008, Walmart faced a disability discrimination lawsuit, according to ABC, when a current employee who became disabled was not permitted to continue her job, then not offered a replacement job with a competitive wage. She was working for $13 per hour, and Walmart wanted to stick her in a job earning only $6.20. The case went to the Supreme Court, at which point Walmart paid her a settlement. Apparently the company didn't learn much from this experience because a very similar discrimination lawsuit was filed in 2018, according to the Portland (Maine) Press Herald. If there's one thing that must give Walmart executives the heebie-jeebies, it's the thought of their employees gathering together, forming a union, and fighting for better working conditions. Walmart is now the largest private employer in the United States, so a Walmart union could make serious headway in the fight for better wages, better conditions, better benefits … you know the drill. That's why Walmart does everything it can to prevent unions from forming. This is a company that, no joke, has an honest-to-god telephone hotline for managers to dial up if there's any risk of employees getting organized, according to Upworthy. 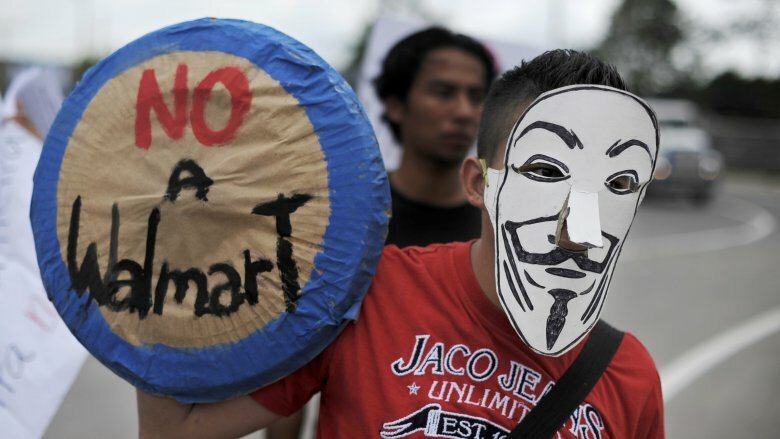 They also hired defense contractor Lockheed Martin to spy on potential union activity. Not creepy enough? Try this: Walmart employs an anti-union response team, according to the Atlantic, who will apparently fly to any store, within 24 hours, if so much as a pro-union flyer is pasted on a bathroom wall. Now, sure, it's totally legal for Walmart to hate unions, or to tell workers that the company doesn't like unions, but this all begs the question: If such a massive company is so scared of their workers demanding better conditions, what does that say about the company? 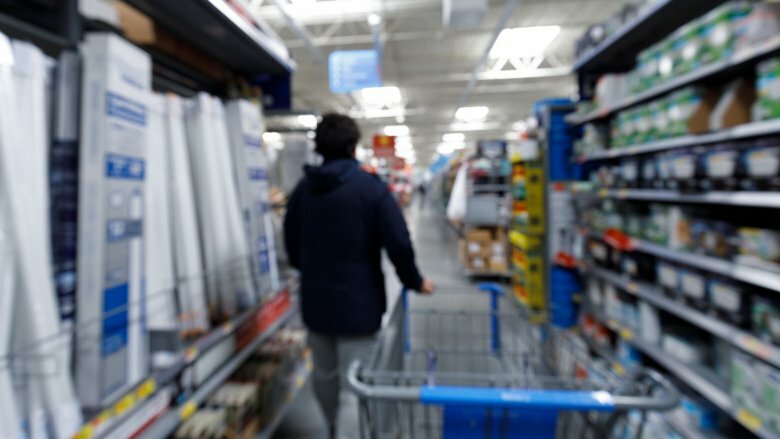 The real theft problem at Walmart isn't customers stealing items off racks: It's Walmart stealing wages from employees. According to the Philadelphia Inquirer, Walmart has been found guilty of forcing associates to work off the clock, to skip their breaks, and other shady maneuvers designed to deprive workers of wages. This problem has gotten so bad that, in 2018, Truthout reported that Walmart and other major corporations have been forced to pay billions of dollars in combined wage theft penalties over the years. 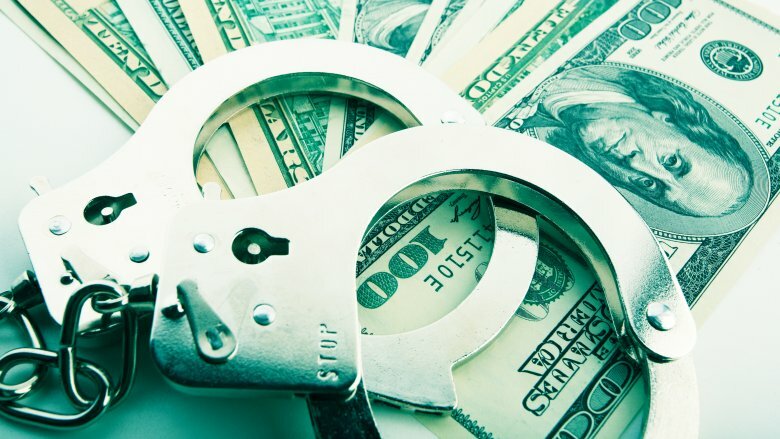 Of these companies, Walmart was the only retailer listed among the top 12 offenders. Probably one of the sketchiest thievery tactics they've used was in 2014, when the Guardian wrote that Walmart was ordering low-level employees to buy brand new $50 uniforms. Not only is this a pretty crappy thing to ask from workers living on food stamps, but the dress code change was priced to earn the Walmart corporation a tidy profit of $50 to $100 million, right off the backs of their struggling employees. Just in case you were disillusioned (somehow), Walmart isn't some friendly corner store competing against other corner stores. It's a global corporate monopoly known for cannibalizing small towns, crowding the market, and destroying small businesses. Of course, if you've ever lived in a small town that got uprooted by a massive Walmart complex, you know all about this rodeo. The first thing to go, as the Atlantic explains, is probably the town's local character, flavor, everything that made it a quaint place to live. Then it's time to say goodbye to all the local small businesses, as Walmart artificially drives prices down to the breaking point with its cheap sweatshop products. Then wages are driven down, according to MarketWatch, and since all the other businesses are gone, the local job market quickly dries up. At this point, Walmart owns the town. Boom. But what about if King Walmart packs up and leaves? Then, according to Time, the climax is even more heartbreaking. Since Walmart has already wiped out all the other stores and taken over the job market, the corporation's departure leaves the residents of these small towns with nowhere to shop and few places to work, left to drown by the unstoppable Walmart juggernaut. 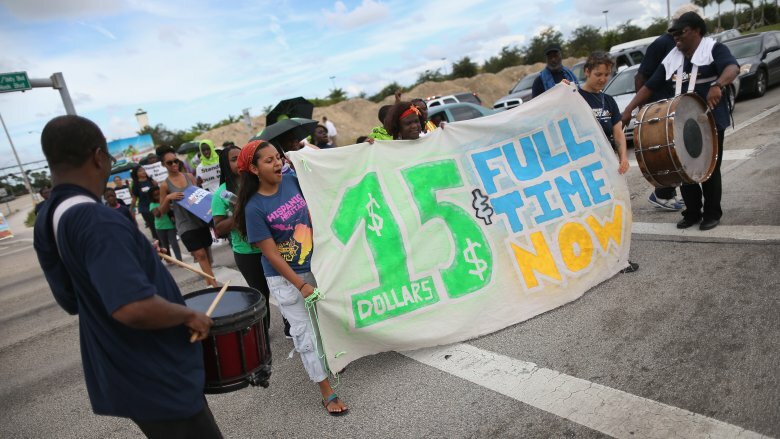 Don't listen when Walmart puffs its chest about that whole $11 per hour wage increase because it's a load of hot air. Yes, they're paying workers more, and that's nice. You know what's not so nice? The fact that they blew their horns oh-so-loud on this point as a convenient way to hide what was actually going on beneath the surface, according to Forbes: store closings, worker demotions, and mass firings, resulting in an estimated loss of over 10,000 jobs. This information got out, according to Inc., resulting in a PR disaster, but this isn't the only example of Walmart being sneaky. For example, the announcement that they're hiring 1,700 assistant managers sounds great, until you find out that they just fired 3,500 store co-managers. Wonder why? Because assistant managers earn less. That sound you're hearing? It's a Walmart executive counting money. But hey, hold on, because Walmart doesn't deserve to act all goody-two-shoes about giving employees $11. As Forbes explains, due to changing economic forces and laws, Walmart frankly had no choice about raising wages — otherwise, people will just go work somewhere else — and so they've been steadily raising wages every year anyway, as slowly as they possibly can manage. The big announcement was just a clever cover-up. The idea of Walmart locking its overnight employees into the store sounds like a Black Mirror premise, but it really happened. For 15 years, Walmart stores in areas with a higher theft risk operated under a bewildering policy where overnight workers would, yes, be locked inside their workplace. If you're thinking this could cause terrible problems in cases of medical emergencies or equipment malfunctions … well, yeah, it did, according to the Independent. Perhaps the worst case was when a hurricane hit a Florida store and the workers were trapped inside. One woman, Michelle Braun, alleged that Walmart had locked her in the building after she'd punched out and forced her to work the overnight shift without pay, according to the Philadelphia Inquirer. It was later revealed that many of the workers being locked into the store were undocumented immigrant workers, which led to a widely publicized legal battle with Walmart's lock-in policy under the microscope. Though Walmart won the case against their employees, reports of store-wide lock-ins haven't appeared since, so it's likely that the policy isn't around anymore. God bless Sam Walton! Okay, so most of Walmart's dark, dirty secrets are a lot bigger, more dangerous, and carry more immoral consequences. But at the same time, it's also important to recognize that the problem with many of the products themselves — aside from the horrifying way in which they're produced — is that they aren't necessarily what they're cracked up to be. For one, that whole "Made in the USA" claim you've seen on some products doesn't always hold up under scrutiny, according to Forbes. When a nonprofit group decided to poke around and check if the products really were made in stateside, Walmart wiped all references from their website. That's only the tip of the iceberg, though. 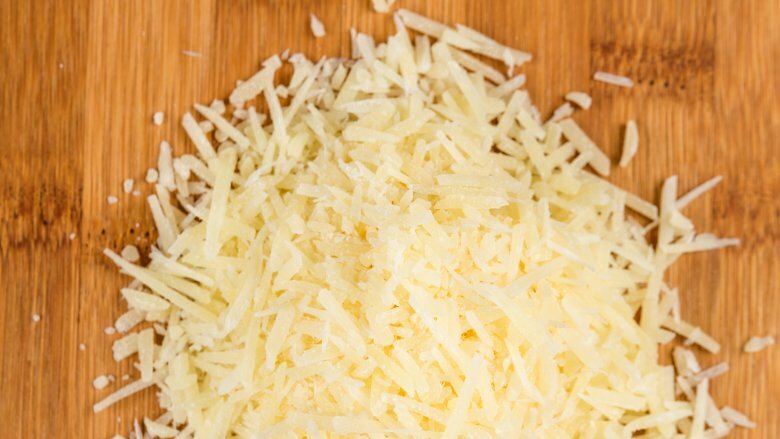 In 2016, Walmart was sued for putting too much cellulose filler in their "100 percent" shredded Parmesan cheese, according to Time. Not gross enough? According to Cosmopolitan, a 2014 investigation caught Walmart hanging used underwear right back on the shelves, with the dirty undies simply retagged as if they'd never been worn. Great. At least everything is cheap. Stop, shoppers, what's that sound? Most people don't expect very much privacy when they're out in public. That's … that's why they call it going out in public. Okay, sure, whatever, but how would you like to record all your conversations/any noises you make while you're shopping in a Walmart and then send them off to corporate? Not a super appealing idea, right? It might be pretty close to happening, though! In December 2018, Verge reported that Walmart had been granted a patent that could allow the company to eavesdrop on their employees. The patent was for "an example system for capturing and analyzing sounds in a shopping facility," aka a bunch of real good microphones. The system could potentially compare noises it hears against sales receipts and determine if someone is shoplifting. Of course, any system powerful enough to count the shopping bags you're using could easily listen in on employee interactions with customers or possibly gauge how shoppers feel about certain products. Hmm. But hey, let's be real. This is in the patent stage. It is probably not being used in stores yet. So you just relax. Forget all about it. Enjoy your cheap ice cream.